Wait, what was that noise? Oh, hey—that was the sound of the federal government flipping up their closed sign and opening for business again. Don’t worry; it shouldn’t take too long to get back to governing as usual. 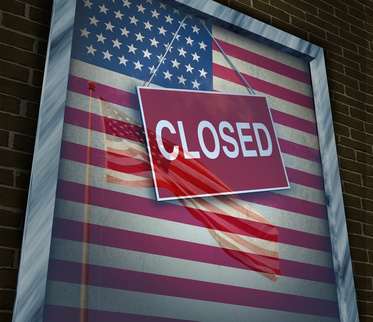 After all, this wasn’t the first time that the U.S. government has been shuttered. In fact, there have been 17 shutdowns in the past 37 years. Still, it’s been a tense two weeks. Now that it’s over, let’s take a look at what prompted the shutdown and what problems could still be on the horizon. On October 1, 2013, the U.S. government began its new fiscal year. In theory, this new year should’ve been ushered in with a new budget. But the senate couldn’t come to a consensus regarding funding to implement The Affordable Care Act (not-so-affectionately known as Obamacare). In total, between 2014 and 2019, the program and its healthcare subsidies are expected to cost the government $710 billion. While Democrats wanted the program to have full funding for 2014, the Republicans did not agree, resulting in a shutdown. This was the first, and let’s hope only, shutdown in Obama’s two terms. It lasted 16 days, just five days short of the 21-day record set by the shutdown of 1995-1996. 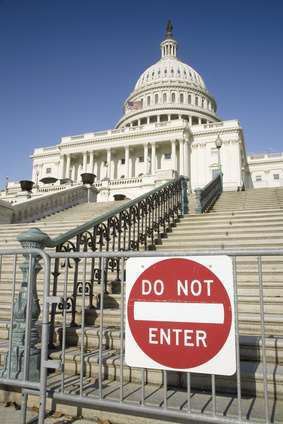 On Wednesday, October 16, Congress finally came to a decision and voted to reopen the government. The Affordable Care Act (ACA) was funded and just one adjustment was made within the newly passed budget: stronger safeguards were added to prevent fraud by those who receive healthcare subsidies. If the government shutdown had lasted longer, there was a real concern that the U.S. might default on its financial obligations. On February 7, 2014, Congress will again need to come to some sort of agreement in order to avoid default once more. You see, in order to generate funds for the government to run, the Treasury Department sells bonds which are considered debt instruments. Investors, including foreign countries, purchase these bonds and the U.S. pays an agreed-upon amount of interest on them until they mature, at which point the principal is due back to the bondholder. In other words, when you buy a U.S. savings bond, you are loaning the government money in order to keep it running. The U.S. keeps its budget in check partially by having a ceiling on the amount of bond debt that can be issued. However, a government’s budget isn’t like yours or mine, which means that Congress can, and will, generally vote to raise the debt ceiling when necessary. This allows the Treasury to issue more bonds, borrow money and maintain our financial agreements. You might remember in late 2012, early 2013 when we first faced a crisis in federal government funding—the fiscal cliff—which prompted the passage of the American Taxpayer Relief Act of 2012. This crisis was, in part, due to our having reached the debt ceiling at the end of 2012. According to the Washington Post, the shutdown might have cost the taxpayers as much as $20 million. Additionally, losses in travel spending have been estimated at $2.4 billion and Moody’s estimates $23 billion in lost economic output. Harder to measure is the financial setback the furlough cost the 18 percent of government workers who were affected. 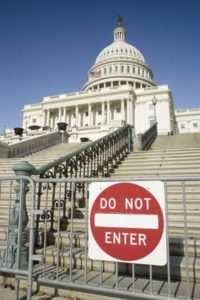 The shutdown may also have stunted economic growth; 50 percent of CEOs polled in a Business Roundtable survey said that the shutdown would halt their hiring plans for at least six months. With the Small Business Administration closed and approved small-business loan funding delayed as a result of the shutdown, this is not surprising. Some social programs, such as Head Start, had to rely on loans and donations to keep moving forward over the 16-day stretch. Important research programs temporarily lost funding and steam. The shutdown also resulted in the temporary closing of national parks and museums and delays in passport processing. When you live in a country of officials elected by the people, you’d think that it would be the will of the many that gets heard and followed. Sadly, American politics is proving that isn’t the case. Instead, the will of the few elected officials seems to be what guides the activities of Congress. Is there a solution to this mess? Don’t ask me—I only vote here.